This sumptuous catalogue provides an overview of French art circa 1500, a dynamic, transitional period when the country, resurgent after the dislocations of the Hundred Years' War, invaded Italy and all media flourished. What followed was the emergence of a unique art: the fusion of the Italian Renaissance with northern European Gothic styles. Outstanding examples of exquisite and revolutionary works are featured, including paintings, sculptures, illuminated manuscripts, stained glass, tapestries, and metalwork. 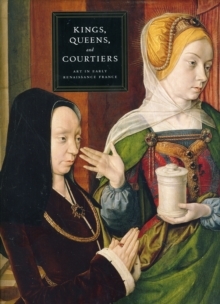 Exciting new research brings to life court artists Jean Fouquet, Jean Bourdichon, Michel Colombe, Jean Poyer, and Jean Hey (The Master of Moulins), all of whose creations were used by kings and queens to assert power and prestige. Also detailed are the organization of workshops and the development of the influential art market in Paris and patronage in the Loire Valley. Pages: 208 pages, 180 color illus.